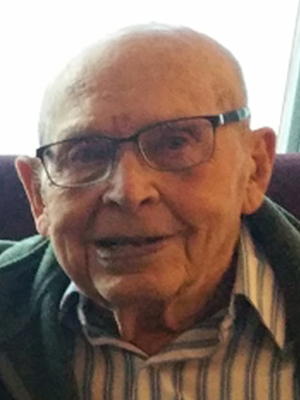 Al Wasson, of Shakopee (formerly of Prior Lake and Clearbrook) joined his Lord and Savior in heaven on Saturday, February 9, 2019 at the age of 96. He was a loving husband, father, grandpa and great-grandpa, and a proud veteran. A Celebration of Life Service will be held on Monday, March 4, 2019 at 11:00 AM with visitation one-hour prior at Ballard-Sunder Funeral & Cremation (4565 Pleasant St. SE) in Prior Lake. Pastor Mike Golay of Friendship Church in Shakopee will preside, and Al will be laid to rest at Fort Snelling National Cemetery. Al’s urn bearers will be Gary Bjerke, Bruce Bjerke, Ron Tveitbakk, Jerry Tveitbakk, & Chris Johnson. Wayne Torgerson as honorary urn bearer. Lunsford & Elizabeth (Dickey) Wasson celebrated the birth of their son, Albert Joshua Wasson, on March 5, 1922. Al was the fifth of seven children. He grew up on the family farm in Arkansas. Al was a mischievous boy, but the life of a farmer gave him a strong work ethic that served him well throughout his life. When Al was just 16, his father died suddenly. Al was now the man of the house, so he quit school to run the family farm. During WWII, Al was drafted into the United State Army. He landed at Normandy Beach and was involved in the Battle of the Bulge. During his service, Al marched across France, Germany & Austria. He was tasked with carrying a browning automatic machine gun, and his partner “Shakes” carried the ammunition. Once the war was over, Al drove a medical vehicle until he was honorably discharged. Al received several medals for his dedicated service. After his discharge, Al followed his sister and cousin to California to look for work. Al never found his dream job in California, but he found his dream girl. His cousin introduced him to Harriet Bjerke. The first time he saw Harriet, she was standing on the street corner wearing a “mink” coat. Al was thrilled to have found a beautiful woman who had money. He later found out it was actually a squirrel fur coat and not mink. But it was too late, Al had fallen deeply in love with Harriet. On November 30, 1946, Al & Harriet exchanged wedding vows in Reno, NV. They moved back to Clearbrook, MN and settled in Harriet’s hometown to raise their family. Al & Harriet were blessed with two wonderful children, Sharon & Robert. Al provided a good life for his family. He and Harriet farmed for the first 12 years of their marriage before buying the local Mobil Service Station. Al ran the station for more than 20 years. He loved the work and was always there to help his customers. Al eventually became the Mobil Distributor for the entire northern region of Minnesota. In retirement, Al & Harriet moved to Prior Lake to be closer to family. They also spent a lot of time with family and friends at their cabin on Clearwater Lake in Northern Minnesota. Al enjoyed hunting, fishing and spending time with family. Al &Harriet traveled the country in a motorhome visiting family in Arkansas, Texas & California. Family was the most important thing in Al’s life. He especially loved being a grandpa to Katie, Josh & Aimee. When they were little, he loved bouncing them on his knee and singing “Going up Cripple Creek” as they bounced. Al was a true jokester. He loved being silly, telling animated stories and putting smiles on the faces of those he loved. Al was a hard-working, strong man who would do anything for anyone. He will be remembered for his strong integrity and generous heart. Al is survived by his wife, Harriet; children, Sharon (Thom) Cowhey, Robert (Eva) Wasson; granddaughters, Katie (Chris) Johnson & Aimee Jarnot; great-grandkids, Colin, Grace & Raina; other loving relatives and friends. Al was greeted in Heaven by his grandson, Josh Cowhey; parents, Lunsford & Elizabeth Wasson; brother, James Wasson; infant sisters, Emily and Iola; sisters, Willamae Wasson, Jewell (Porter) Tipton & Vera (Kirby) Jenkins. Thinking of all of you! It was a pleasure knowing Al (nd Harriet) during my time at All Saints. Lets get together this spring and catch up. Losing loved ones is so hard, thank goodness for the faith that we will meet again. My heartfelt sympathies go out to the family. We (the Johnsons) lived by Al and Harriet on the farm in Clearbrook. Sharon was a playmate for a number of years. I remember mom calling Al when my brother (Tucker) broke his arm to get him to the doctor and Al plowing up our garden spot every summer. Also when they had the Mobil gas station in Clearbrook. Take care and God Bless! What an amazing life he led. I remember watching his video with Josh, he was quite the story teller. God bless and comfort you all during this difficult time. Love Karen Wallace and family. What a beautiful capturing of your Father’s life. What a blessing to have him for so many years. My thoughts and prayers go with you in your “missing him”. I believe Al is with his Lord now. Our deepest sympathy goes out to you and your family at this time of sadness. God will give you comfort during this time and one day be reunited with all of your departed loved ones. God Bless!